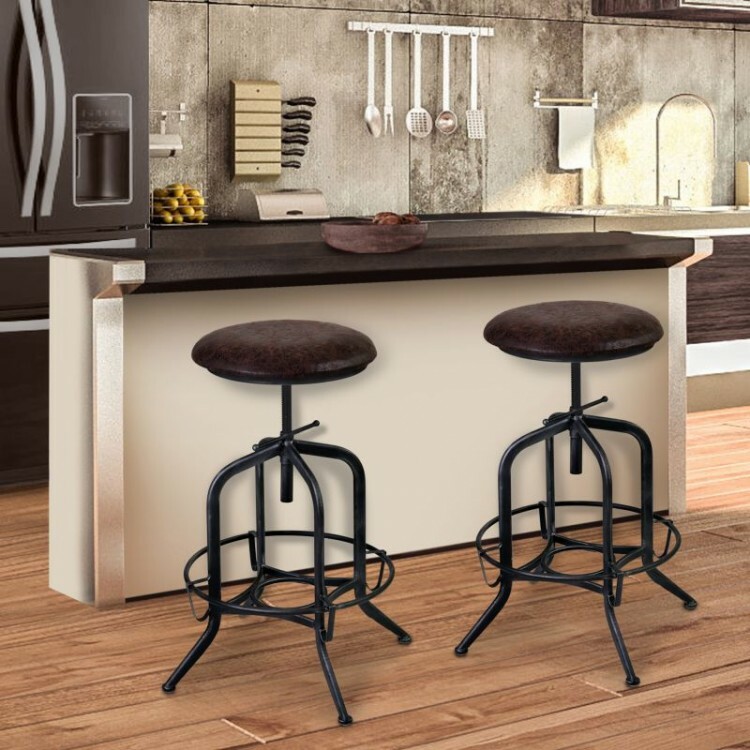 Description: Our Elena Barstool is the perfect mix of comfort and style to make your bar look, and feel, good. 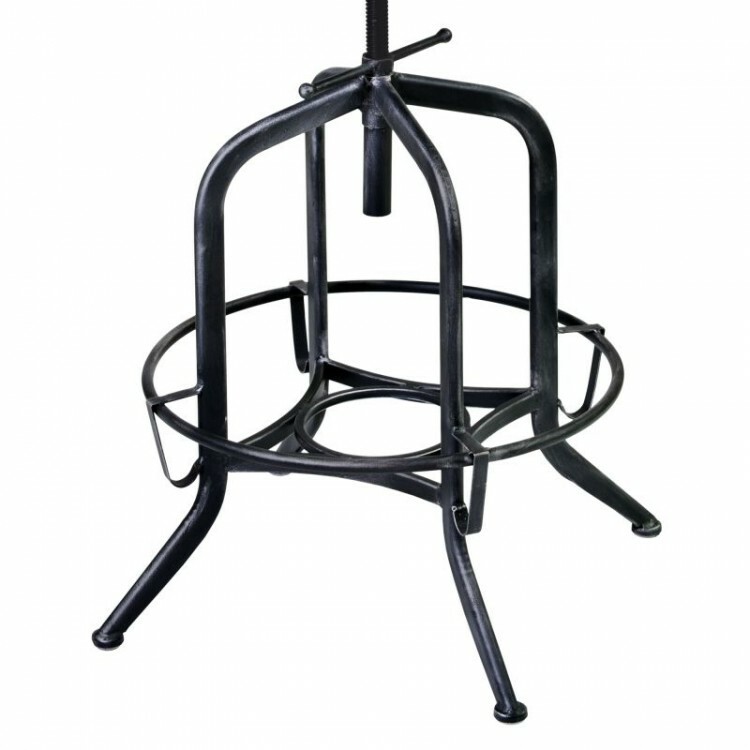 It's easy to use adjustable handle allows you to change the height to exactly where you need it to be. Made from high quality Metal and Fabric, this Brown Barstool is sculpted with care and will fit in with most any style room; whether it's in your kitchen or at your home bar. 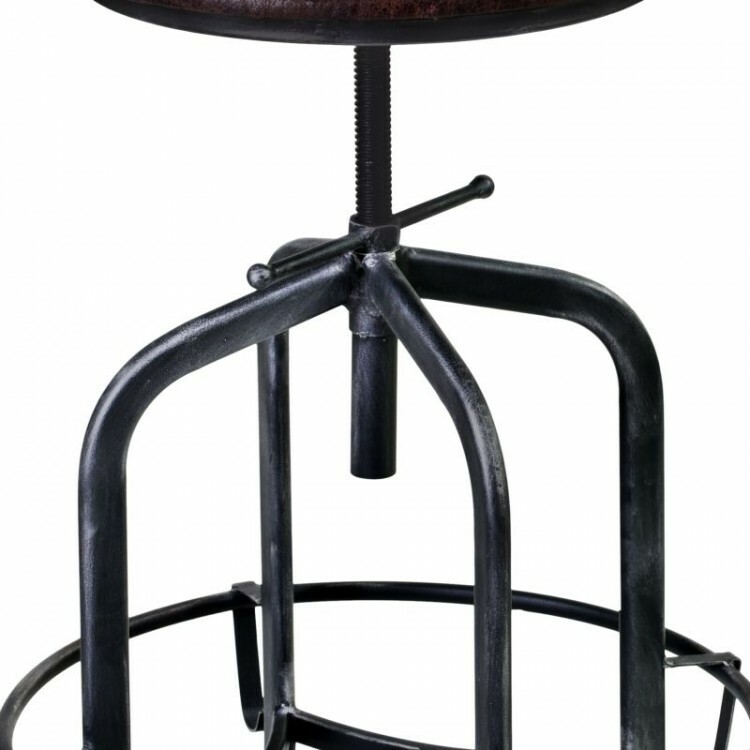 It mimics the highly admired esthetics of the late 19th and early 20th century industrial factory draftsman or office drafting furniture. The curved Metal legs accent the comfortable, Fabric covered seat that allows you to sit comfortably for as long as you want. 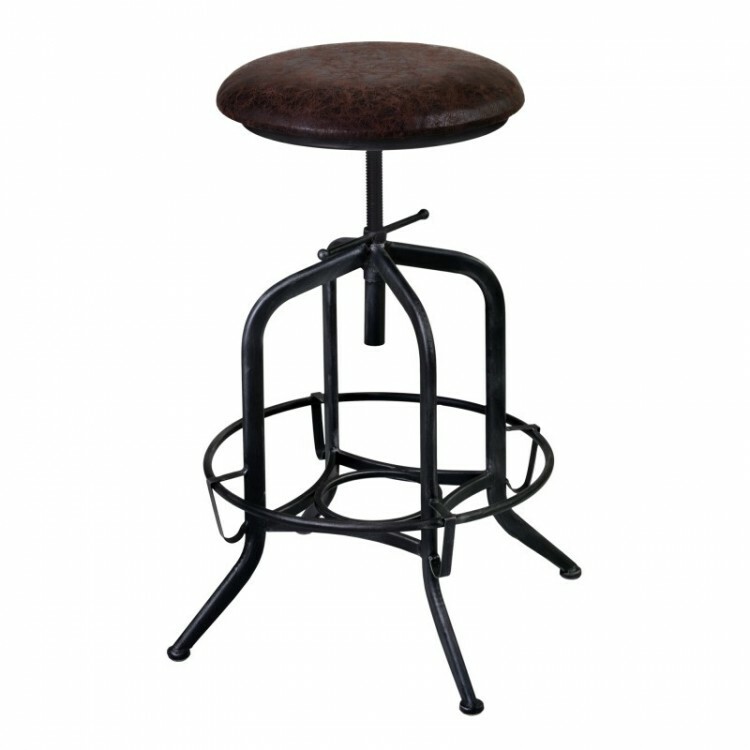 The round seat paired with the Rounded Metal frame gives this barstool just the look you need for your home.